Oiling is an essential part of hair care routine, which we all seem to ignore because of the work and time involved in its cleaning the following day. Well, Clinic Plus has a perfect solution for you as the company has launched an oil that will give nourishment to your hair without making them oily . So, you can use this hair oil every day and get rid of all the dryness and frizz in your hair. Clinic Plus Daily Care Nourishing Hair Oil comprises of pure coconut oil, oleic acid, wheat germ oil and other mineral oils, that promise to nourish and relax your hair roots. It comes in a plastic blue bottle, which a screw structured cap. You can use this oil every day, by simply massaging it in your hair. 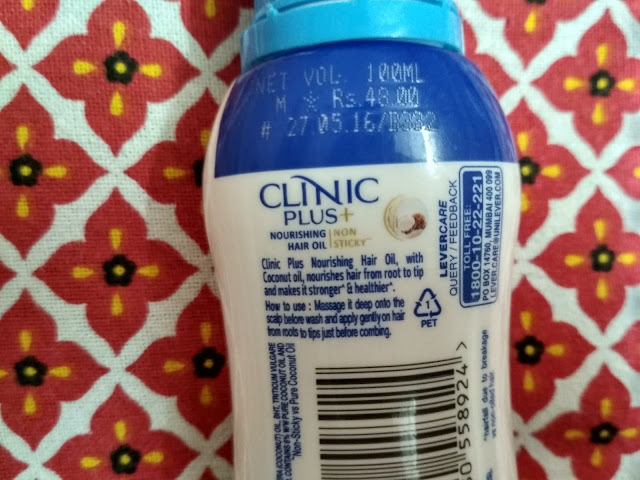 Clinic Plus Daily Care Nourishing Hair Oil is enriched with the qualities of coconut oil, about which I can go on and on and on. Unlike other Coconut oils in the market, this oil also has extracts of oleic acid, wheat germ oil, and other mineral oils. I discovered this oil last year during winters. I used it as a body moisturizer as well. It deeply nourishes, and strengthens the roots of your hair, giving them a soft shiny texture. It also makes you skin baby soft with regular use. It is also easy to wash off, so you don’t have to wash your hair twice or thrice to get rid of the stickiness in your hair. 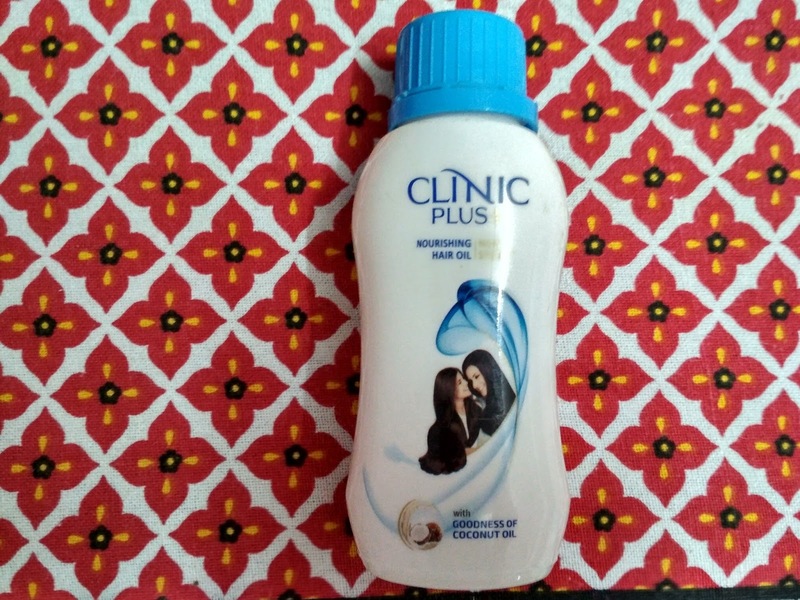 · Pocket-Friendly Price – A 100 ml bottle of clinic plus oil will only cost you Rs 48. · The oil has light water consistency, which makes it non-sticky and oily. The texture also helps in spreading it smoothing on the entire scalp. · As the name suggest, it’s great for everyday use, it doesn’t stain clothes like other oils. · It has light pleasant coconut smell. · It helps prevent frizz and dryness in your hair. 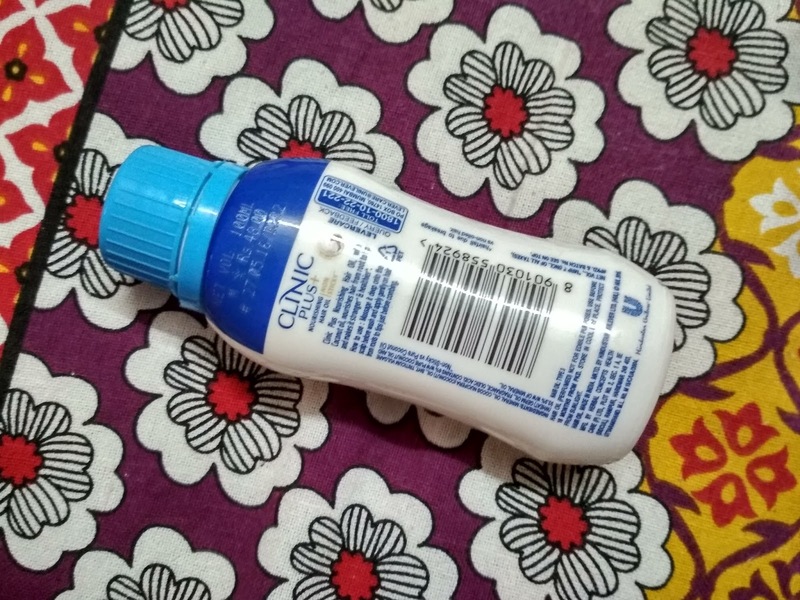 · You can also use it as body oil in winters to fight dry skin. · It comes with the plastic packing, so you can it anywhere, without worrying about breaking it into pieces. · The light texture of the oil increases the chances of unnecessary overflow on your hand. · Doesn’t really help with dandruff. · It solidifies during winters, which cannot be used because of the shape of the bottle unless warmed up. I will give Clinic Plus Daily Care Nourishing Hair Oil a good 4 stars. This oil can also be used as a moisturizer for your skin. What more can you ask from an affordable product from like this? Use this oil, twice every week and you will be able to flaunt healthy glowing hair. So I suggest you get rid of mustard and olive oil and use this magical serum that will make your hair frizz free with two drops.